Join the world's best Real Tennis players for excitement, drama and incredible sporting battles on the historic tennis courts at Hampton Court Palace. 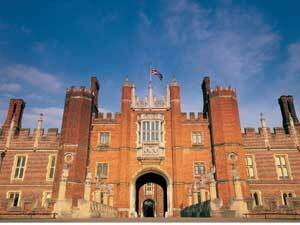 Real Tennis is an ancient game played by kings of Europe, most famously by the young Henry VIII. Henry was a keen and talented tennis player who spent hours on court. The game today still embraces its history and intrigue, using rules that date back to the 15th century, and is practised by dedicated professional athletes. Like a tournament of old, it’s the Real Tennis player's ambition to be crowned the best of the best. The Real Tennis Champions Trophy is a unique chance to see the game played at the highest level — with extraordinary speed, power, control and grace. Pros from America, Australia, France and the UK, including 2018 Champion Camden Riviere, will grace the competition court and provide inspiration and entertainment. The format of this world-ranking tournament reduces the size of the draw to the world's top eight players, resulting in exciting sporting action at every stage, with the amazing backdrop of Hampton Court Palace.